Today, at Candlemas, churches will be blessing the candles they will use the year long. 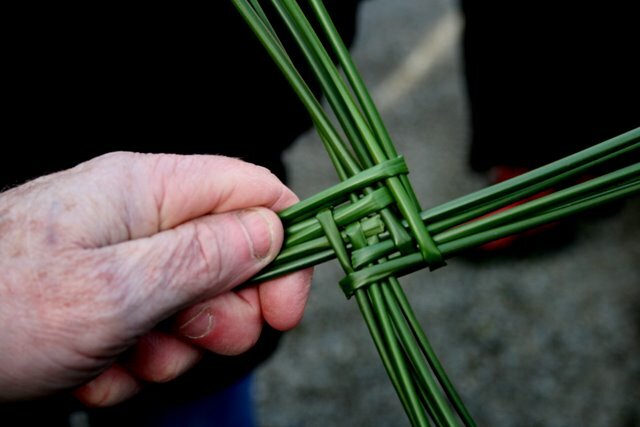 But at home there are traditions we can follow that are more akin to the central core of this time of year, with its focus on the coming of spring. Spring comes because the sun is returning––we have reached, in the Northern Hemisphere, the halfway point between the darkness of the winter solstice and the balance of the spring equinox. One of the easiest and most enjoyable customs for Candlemas is this: At sunset, we light every lamp in the house. And hey, I know we’re busy people… so if it’s well after sunset before your whole family is gathered in the house, then so be it, do it then. There is something fun and wacky and maybe even a little decadent about doing this, though, and so we run around the house turning on every light, lighting every candle, even if it’s just for a few minutes. And in this simple act, you’ve connected to a custom that goes back through the ages. Dinner, if you want to continue following old customs, might be crepes, which is a European tradition. In Mexico, tamales and hot chocolate are customary. (Hot chocolate with dinner? That’s pretty decadent, too.) 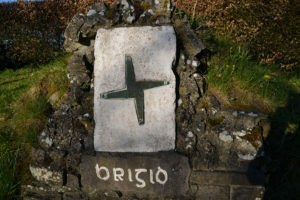 The point is, no matter what, to celebrate the fact that light is returning, for it is: once we pass that point of equinox in March, daylight will begin taking over night once again. Candlemas begins as the day that Mary went to the temple for the rite of purification, which is a Jewish custom: forty days after the birth of a son, mothers would go to the temple to be purified. And so here we are, forty days past Christmas. Tonight is the night to take down the Christmas decorations, should you still have them up. And so we pack up what is left, save it for next midwinter, and we return the Christmas greenery to nature, returning the gifts we borrowed for the Yuletide season. Leaving things longer than tonight invites bad luck (and also puts us out of step with the seasonal round of the year). But we rarely leave one holiday completely as we jump to the next; usually they are connected, like steps along a footbridge. 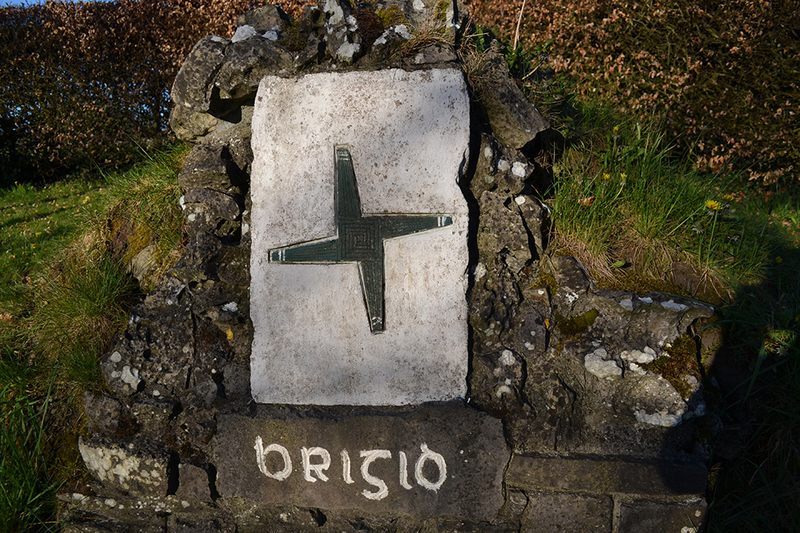 Yesterday St. Brigid bridged us from winter to spring, and so today with Candlemas we find ourselves at the opposite side of a bridge that began with Christmas. Mary went to the temple carrying her infant son forty days after his birth and it was there at the temple that she met the elders Anna and Simeon. The elders, wise and all-seeing, recognized the child immediately as the light of the world. This is the story basis for Candlemas, for the blessing of candles this day, and the connexion between the story and the celestial events that bring us closer to spring. And so here is my favorite music for Candlemas: It’s an old hymn called “Jesus, the Light of the World,” recorded by one of my favorite ensembles, the Boston Camerata. It’s from their album An American Christmas. I think of it as more a Candlemas song than a Christmas song, and it’s a fine song to sing or hum as you light all those lamps in the house and a fine album to play as the last vestiges of Christmas are stored away for yet another year. As for Punxsutawney Phil, this morning he did not see his shadow. Spring will come early, they say. 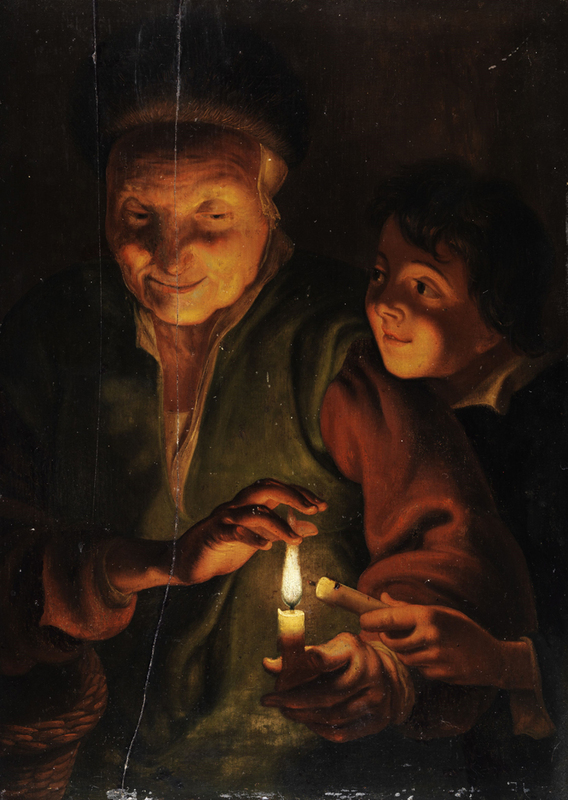 Image: “Alte Frau mit Knaben bei Kerzenlicht” (Old Woman with Boys by Candlelight), attributed to Johann Georg Trautmann. Oil on wood, 17th century. [Public domain] via Wikimedia Commons.